The next deadline for the small Minnesota Historical & Cultural Heritage Grants program is Friday April 11, 2014. Grant applications must be submitted via the grants portal by the end of the day on the deadline. Questions? Contact the Grants Office. If you have an outstanding Minnesota Historical & Cultural Heritage Grant, don't forget the final piece of the project--the final report. All reports must be submitted via the grants portal, and a copy of the final project product (report, exhibit text/photos, construction photos, etc.) must be uploaded to the Report Documents section. If you have a mid- or large-size grant, you must also include receipts or invoices for all project expenditures. If you have questions about filing your final report, please contact Melinda Hutchinson, 651-259-3459. The project provided a crucial first step in the work to make the Our Lady of Victory chapel,constructed in 1924 and listed in the National Register of Historic Places, fully accessible to those with mobility challenges. The plans take a long-term view, reflecting lasting changes that will provide a solid long-range investment. Growing enrollment at St. Catherine, combined with a strong priority of ensuring that higher education is accessible to people of all backgrounds and ability levels, means that these changes will be appreciated even more in the future. Thanks to everyone who helped make History Matters Day a success. Can local history help facilitate a revival of Midwestern U.S. history? A humorous look at the digitization quandary. Brown University's lost Jenks Museum of Natural History re-created. 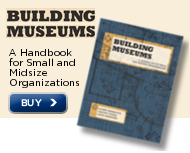 Check out these hints for attracting visitors to your historical organization. Kentucky Historical Society, Frankfort KY, seeks Museum Collections and Exhibitions Interns. Deadline: March 15, 2014. Historic Charleston Foundation, Charleston SC, seeks Collections Manager. Deadline: March 21, 2014. Illinois Historic Preservation Agency, Springfield IL, seeks State Historian. Deadline: March 24, 2014, 5 p.m. CT.
National Trust for Historic Preservation seeks Project Manager for America Saves!, Chicago IL. Lakeshore Museum Center, Muskegon MI, seeks Assistant Director. End O Line Museum, Currie MN, seeks Site Coordinator. Position open until filled. Winona County Historical Society, Winona MN, hosts De Temps Antan, a musical group celebrating Quebecois heritage and the history of French settlement, Friday March 14, 2014, 12:05 p.m. Call 507-454-2723 for more information. Hamline Midway History Corps meets Saturday March 15, 2014, 2-4 p.m. at Ginkgo Coffeehouse, St. Paul MN. Carlton County Historical Society, Cloquet MN, hosts Arna Rennan, who will present a program on "Music of the Immigrants," Saturday March 15, 2014, 11 a.m. Call 218-879-1938 for more information. Pond Dakota Heritage Society, Bloomington MN, invites the public to a lecture by John Isch, who will speak on the dispersion of the Dakota people after the U.S.-Dakota War of 1862 and their return to Minnesota, Sunday March 16, 2014, 2 p.m. Call 952-484-0477 for more information. Cokato Museum & Historical Society, Cokato MN, invites the public to an Open House, Sunday March 16, 2014, 1-4 p.m. to celebrate the 136th birthday of the Village of Cokato. Call 320-286-2427 for more information. Minnesota Valley Civil War Round Table hosts independent historian Dale Blanshan, who will present "Mathew Brady: America's First Photojournalist," Tuesday March 18, 2014, 6:30 p.m., New Ulm Public Library, New Ulm MN. Call 507-359-8334 for more information. Scott County Historical Society, Shakopee MN, hosts author Joel Arnold, who will speak on his book "Ox Cart Angel," Thursday March 20, 2014, 7-8 p.m. Free with paid museum admission. Call 952-445-0378 for more information. New Ulm Public Library, New Ulm MN, hosts Dr. Gary Clayton Anderson, who will speak on his new book, "Ethnic Cleansing and the Indian: The Crime That Should Haunt America," Thursday March 20, 2014, 6 p.m. Call 507-359-8334 for more information. Cannon Valley Civil War Roundtable will meet Thursday March 20, 2014, 7 p.m. at the Faribault Senior Center, Faribault MN. Featured speaker will be M. Stoney Stonecipher on "The Campaign of 1864: Grant vs. Lee in Virginia." Contact Dan Peterson, 507-459-3140, for more information. Waseca County Historical Society, Waseca MN, hosts author Jim Jensen, who will speak on his book "Threads of Evidence," March 20, 2014. Call 507-835-7700; paid reservations due March 18. Wright County Historical Society, Buffalo MN, hosts Audrey Tack, who will speak on Finnish genealogy, Thursday March 20, 2014, 1:30-3 p.m. Call 763-682-7323 for more information or to reserve a seat. Friends of Minnesota Barns will host Doug Ohman, photographer and author, at their Annual Meeting, Saturday March 22, 2014, 10 a.m. at the Oliver H. Kelley Farm, Elk River MN. Free. Steele County Historical Society, Owatonna MN, will host Gopher State Archeological Society artifact show, Saturday March 22, 2014, 9 a.m. to 3 p.m. Call Gregg, 507-676-1095, or Laura, 507-451-1420, for more information. Ramsey County Library-White Bear Lake hosts Sara Markoe Hanson from White Bear Lake Area Historical Society, who will speak on the history of ice hockey in Minnesota, Monday March 24, 2014, 6 p.m. Call 651-724-6022 for more information. St. Louis County Historical Society, Duluth MN, invites the public to their 92nd Annual Meeting, March 25, 2014, 5 p.m. Dinner 6 p.m.; cost: $35/person. RSVP by Tuesday March 18, 2014, 218-733-7586. Minnesota Association of Museums will hold their next Sampler at the Bell Museum of Natural History, Minneapolis MN, Thursday April 10, 2014, 4:30-6:30 p.m. Free for MAM members. Register online. St. Louis County Historical Society, Duluth MN, presents "Lunch with the History People," Thursday April 17, 2014, noon-1 p.m. Gina Temple-Rhodes will discuss "Birthing Process: The History of Giving Birth in Duluth." Call 218-733-7568 for more information. Minnesota Military Museum, Little Falls MN, will honor Minnesota veterans with a Featured Veteran of the Month Exhibit, featuring 8-10 veterans per year. Donald Frederick is the current Featured Veteran. Call 320-616-5060 for more information. Cost: $20/members; $30/non-members. All camps run from noon-4 p.m. Space is limited! Call 952-442-4234 for more information or to register. Minnesota Digital Library issues a Call for Session Presenters for MDL's 12th Annual Meeting, June 3, 2014. Deadline: March 14, 2014. Stearns History Museum, St. Cloud MN, will hold a Research Center Workshop on "Vital Records 101," Wednesday March 19, 2014, 9:30 a.m. Cost: Free/members; $7/nonmembers. RSVP to Sarah, 320-253-8424. National Trust for Historic Preservation announces a Call for Proposals for their 2014 National Preservation Conference in Savannah GA, November 11-14, 2014. Deadline: March 17, 2014. For more information contact conference staff, 202-588-6100. The Annual Civil War Symposium will be held at Fort Snelling History Center, Saturday April 5, 2014, 9:15 a.m. to 3:15 p.m. Free, but advance registration recommended due to limited seating. Buffet lunch: $15. National Trust for Historic Preservation seeks emerging preservation professionals to apply to the Diversity Scholarship Program. Deadline: May 1, 2014. National Park Service offers the 2014 Historic American Landscapes Survey (HALS) Challenge: Documenting Landscapes of the New Deal. Submission deadline: July 31, 2014. American Alliance of Museums announced its 2014 slate of candidates for their Board of Directors. Kaywin Feldman, Director and President of the Minneapolis Institute of Arts, has been nominated for Chair. National Park Service's Heritage Documentation Program sponsors several annual competitions. Visit their website for more information. What happens when history and democracy grapple mano-a-mano under the big dome? History Matters Day! This past Monday, March 10, 2014, history supporters came together in the Capitol Rotunda to rally for Minnesota history during the 2014 History Matters Day at the Capitol. Thanks to everyone who came to support Minnesota history and talk to their legislators. If you weren't able to come to the Capitol, but still want your voice to be heard, write to your legislators via the Minnesota Historical Society History Matters website. Women's History in Minnesota, compiled by Jo Blatti.